Instagram and other social media platforms have become an exclusive way to promote businesses and brands to a specific target audience. However, it could be frustrating that despite of having a pool of followers and likes on social media posts, it could challenging to convert the traffic to profit. ContactInBio caters to such problems, and it helps the businesses in converting their social media following into an evolving customer base. To convert any social media following into a growing customer base, it is highly important to assign a micro landing pages to social media pages, and ContatInBio takes care of it for you. It allows you to attach an unlimited numner of links and eight type of blocks to the landing page, which is further subjected to customizing the design, theme, and logo of the company. ContactInBio calls itsels as much more advanced Linktree alternative as it has a lot of more advanced and powerful features in compare with competitors. The eight categories of block contain information which is exclusive to social media buttons, images, text, video, links, and contact forms especially if you need Instagram contact form. A block can be allotted at anywhere on the website, more particularly on the landing page to garner the attention of the website visitor. These blocks are also inclusive of Whatsapp messaging buttons and image carousel. The platform allows you to select a theme to meet the offerings of your business, and it also allows you to create your own personalized design for your website. A business is initially required to create their page to get started with the process. They should share their page and convert the website visitors or social media followers into customers to create a micro landing page. Next, they should be considerate of the blocks and links, which they would like to add on their websites to yield maximum benefit. ContactInBio allows you to customize and personalize your landing page according to your preference; however, these pages contain addition features which are ideal for getting your landing page started up and recognized by your target audience. You can also add your landing page’s link to your social media page, so if your followers are interested in learning more about a post that you shared on your social media platform, they will be swayed to navigate your website; hence, earning you a customer in return. The features given on ContactInBio to upgrade and update your social media profiles are limitless. You can use the features galore to create a landing page, which consists of a company logo, immediate information about the family, and embedded links to their e-commerce stores. You can also create links for their products’ information or, you can link miscellaneous links on a website that meets your preferences the best. In this way, a customer is swayed to navigate swiftly on the website, and the professional layout of the website makes it easy for him to access the website without any hassle. The logo of the company and a link to a particular purchase is simply one click away, and they can utilize this feature to help you grow your customers’ base. 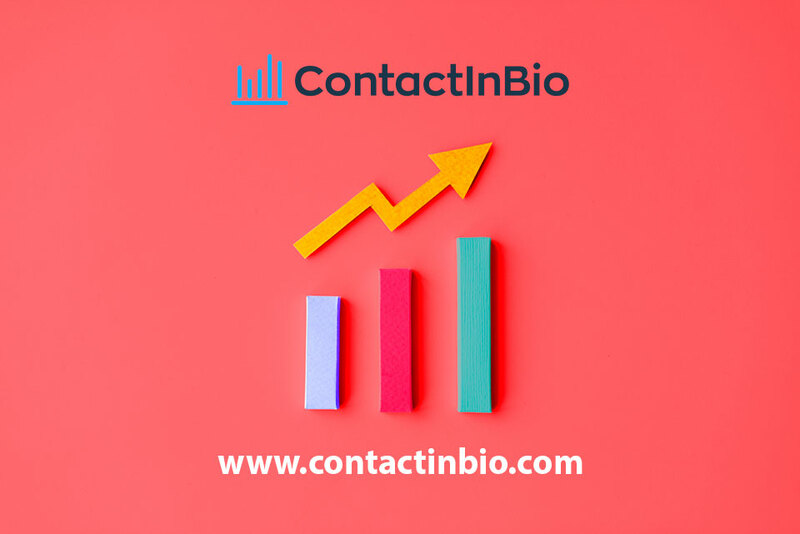 ContactInBio helps the businesses to maintain and retain their online presence on their social media channels, which prove beneficial in turning their followers into regular customers. Let’s just admit it—social media is an excellent tool but, it simply allows the customers to access a portion of a company’s information. If enough information is not provided, they might feel obliged to walk away from your social media—which could lose you a follower.